Is artificial grass the way to go? I don't know when I noticed such an increase in gardens with artificial grass, but it's become very much a common occurrence now don't you think? I would like to add that I'm not roaming around in my neighbour's back gardens! I first started to notice the new lawns when I moved house and took my dogs on a new walking trail and now we've moved again, I've seen a couple of houses on the school run have artificial grass out front and this is when I started to wonder if it's the way gardens are going? I don't know how I feel about this, you have to admit it makes the front lawn look so smart, clean and tidy and some have been put down very well, but can it really replace nature? 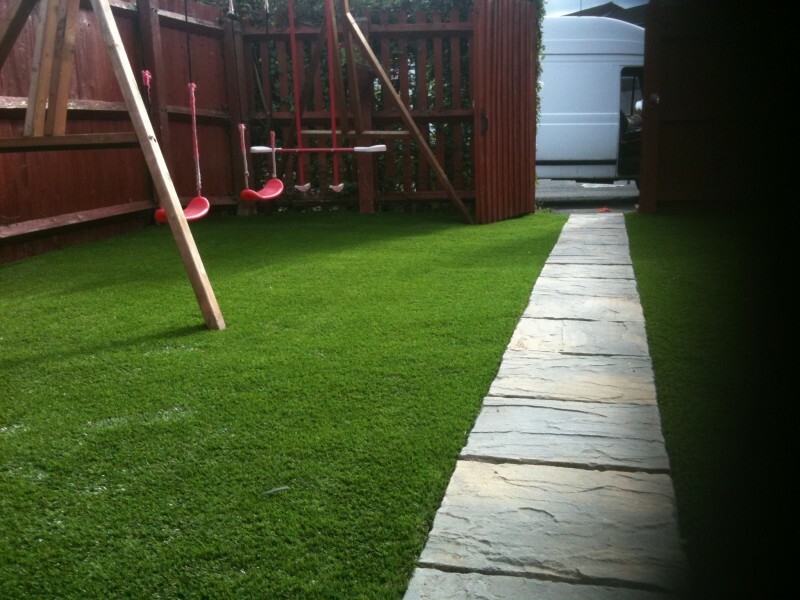 That being said, I do like the idea of astro-turf in our back garden. To replace our lawn with artificial grass would be ideal for my son's playing equipment, and a flat even surface for relaxing on. I like the idea of very little maintenance and the evergreen look all year round but the main selling point for me is the idea of no muddy boots traipsing into the kitchen in the winter (or summer, given how much rain we can have in a year)! Rain or shine my boy loves to be out in the garden when it's dry, and that does mean he's not phased if it's been raining 10 minutes earlier, he can "bounce the rain off", but wouldn't it be nice not to worry about the muddy grass or lack of it by winter! For that, I can see why synthetic turf is becoming so popular. So long as there are still borders for the wildflowers, bug houses and nature, I'm all for making my garden that little bit more pretty. I'd be interested to hear if others have artificial grass too, and how they find it. We have artificial grass and our garden always looks pretty (I'm bias I know, lol). My neighbours have burnt patches, urine stains or are always out with the lawnmower and strimmer. The artificial grass has saved us no end of time. Our son can play out every day of the year as there is no mud to contend with (not that that would have been an issue for him anyway, lol). Thanks Keri, I do think we're going to look into getting artificial grass for next year.